Dominik Livakovic is born on 9 January 1995 in Zadar, Croatia. He is passionate and enthusiastic player. His father name is Zdravko Livakovic and mother name is Vensa Livakovic. His nationality is Croatian. His birth sign is Aquarius. He began his professional career from Dinamo Zagreb. Talking about Livakovic body, his height is 1.86 m. His weight is of 79 Kg. His eye color is dark brown and hair color is also brown. He has balanced body with good health. Livakovic became part of GNK Zagreb’s first team beginning of the 2012-2013 season. He is the favorite goalkeeper of the team. He made his league debut on 31 August 2012. He made 104 league appearances over four seasons including 90 in the Prva HNL. He agreed to join Dinamo Zagreb at the beginning 2016-2017 season on 30 August 2015. He made his league debut for club on 2 October 2016. He made his first appearance in UEFA Champions League. 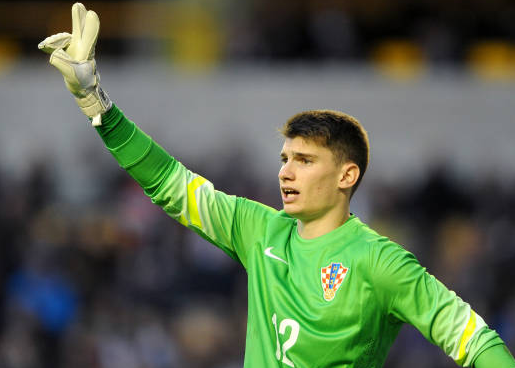 Livakovic got his first call up to Croatia national football team in May 2016. He also got his first start against Chile national football team in 2017 China cup. He was also named in the Croatia’s preliminary 32-man squad for 2018 FIFA World Cup in Russia. 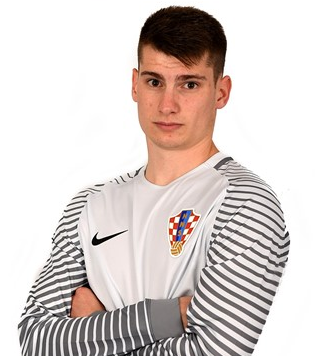 Recently he is representing Croatia in FIFA World Cup. Livakovic is neither married nor single. But he is in a relationship with his stunning girlfriend, Helena Matic since 2016. They are a happy couple and have the mutual understanding. Livakovic net worth is estimated as $1 Million. His earning sources are National team and Dinamo Zagreb.